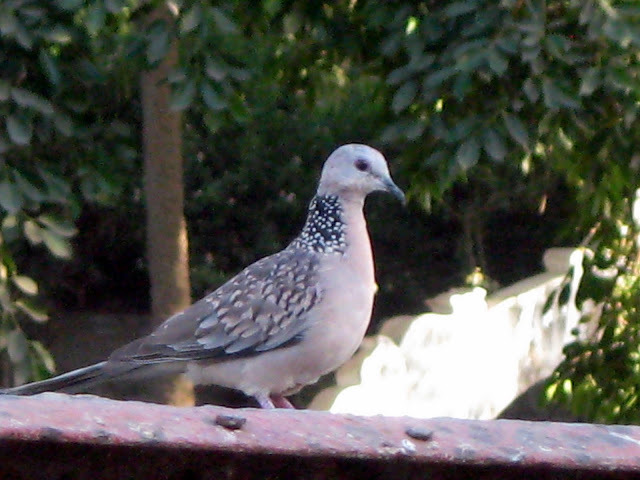 I photographed this one at Mount Abu after taking so many pics of doves, simply as an afterthought... when I realised that I didnt have a single photo of a pigeon with me! 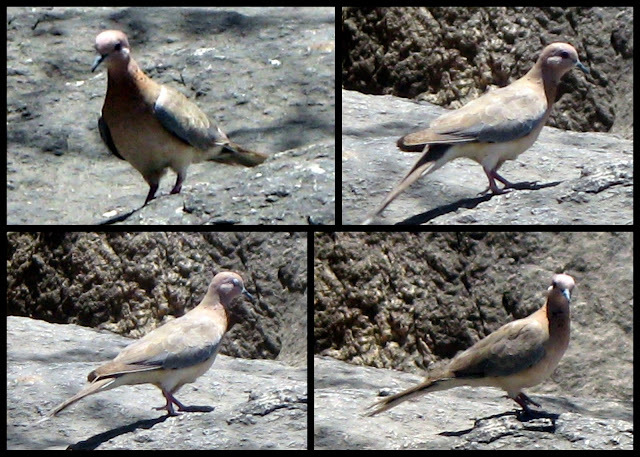 This one is called the 'Laughing dove' or 'Little Brown Dove'. The second name seems more apt, for this little bird is just, well, small and brown! 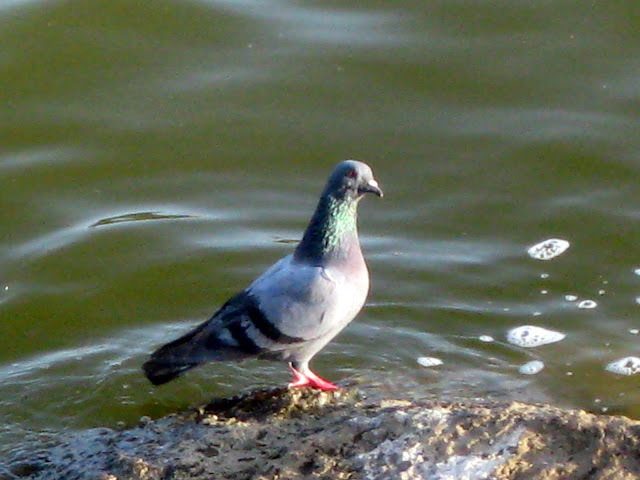 And here is the 'Spotted dove', getting its name no doubt from the spotted collar it sports! 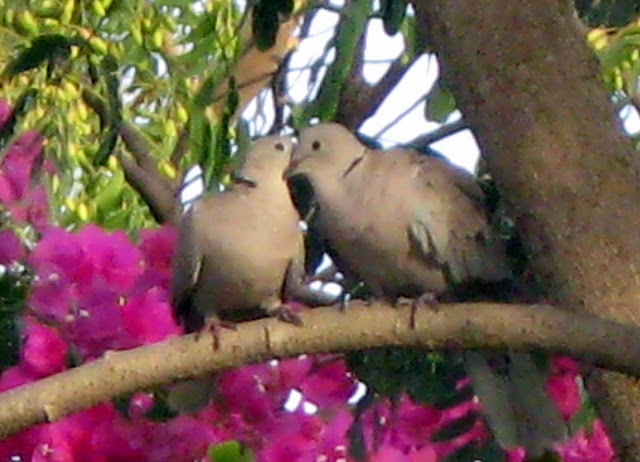 Then there is the Eurasian Collared Dove... again named for its 'collar' around the neck! 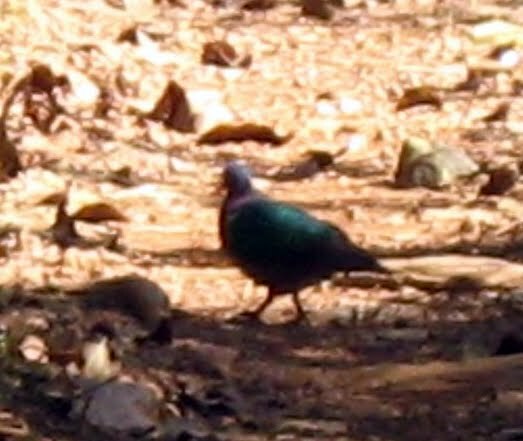 But here is one of the most beautiful ones I have ever seen - the Emerald dove. We saw this bird while staying at The Hermitage Guest House, at Belgaum, Karnataka. The photo is unfortunately not as good as I would have wished, but then I just coudnt write a post on doves without mentioning this one!